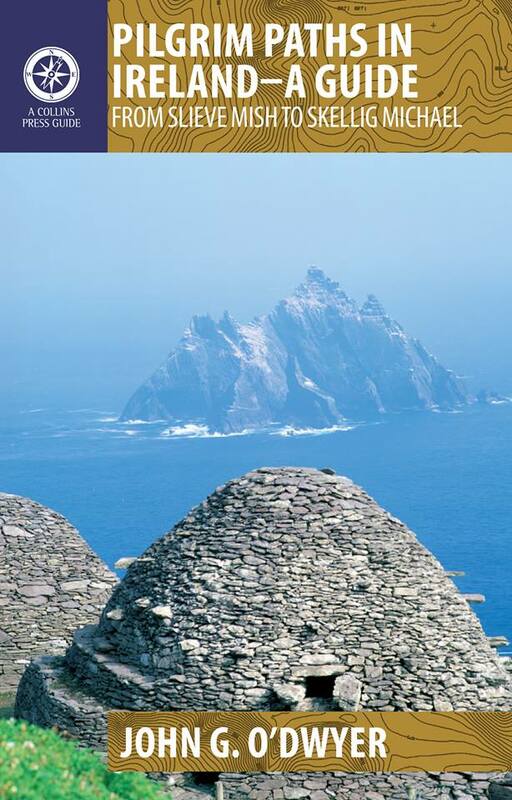 Looking for a book on Irish Pilgrim Paths? Then look no further, you’ll find same right here. Well known Irish Times walking correspondent, John G. O’Dwyer, (Twitter: @Johngodwyer1) has written an excellent book covering the main Pilgrim Paths around the country. Whether you are intent on walking some of Ireland’s Pilgrim Paths or simply want to know more about the great variety of Pilgrim Paths around the country, then you will find a wealth of information in John G. O’Dwyer’s guide book titled very simply ‘Pilgrim Paths in Ireland‘. John G. has, on 2 occasions, walked – or, in the case of Clonmacnoise, cycled – the pilgrim trails of Ireland, from Slieve Mish in the northeast, where Christianity may have had its first dawning in Ireland, to Skellig Michael in the southwest, where the known world once ended.The book is written in an extremely readable style and contains many interesting insights into the historic backgrounds of the paths, along with amusing details of encounters the author had with many fascinating character when completing Ireland’s most renowned spiritual trails. Each walk description akso has directions, the degree of difficulty, estimated time and a map. The paths are varied and suited to a range of abilities, from casual ramblers to committed walkers. In each route the author recounts his feelings and experiences, and describes the entertaining and insightful characters he meets along the way.